Designed to support vitality, provide nutritional support of the pituitary gland and optimise gut function. Cushinaze is unique, as it combines key herbal elements known for supporting the pituitary gland, including Chasteberry, with essential nutritive support of the whole horse. Gut health is provided by live probiotic yeasts to ensure efficient metabolism and optimum condition, in combination with magnesium to support healthy glucose metabolism. Healthy hooves are supplemented by MSM, with scientifically verified anti-oxidants giving additional support to the liver. Ginkgo and ginseng are included to herbally support a bright, active mind in aging animals. 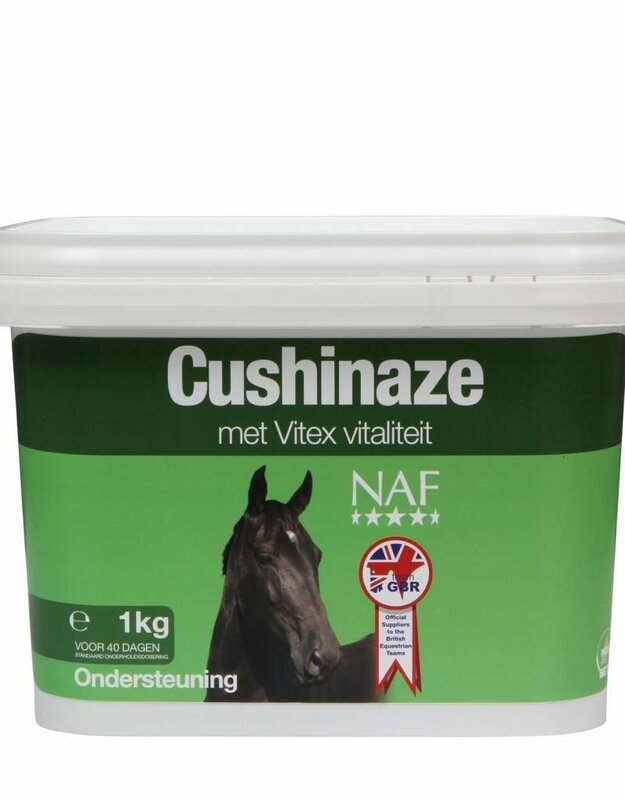 Cushinaze also provides essential immune support for general health and vitality. Chastetree berries (Vitex agnus castus, 140g), Immortality herb, Milk thistle seeds, Methyl sulphonyl methane, Ginseng (Siberian), Ginkgo leaves, Echinacea, Magnesium oxide, Brewers’ yeast, Olive-tree leaves (dried), Carrot (dried), Mint, Omicha berries, Rosehip shells, Fructo-oligosaccharides, Dandelion leaves, Turmeric, Chlorella (dried), Mushroom (dried), Ginger, Rosemary, Licorice, Rapeseed oil. Vitamin E 3a700 995 I.U.